Tuesday was a cooking day. Whenever we get close to running out of complementary items to our stockpile of meat, things start getting ugly. Stove comes on, oven warms up, and stuff gets real. 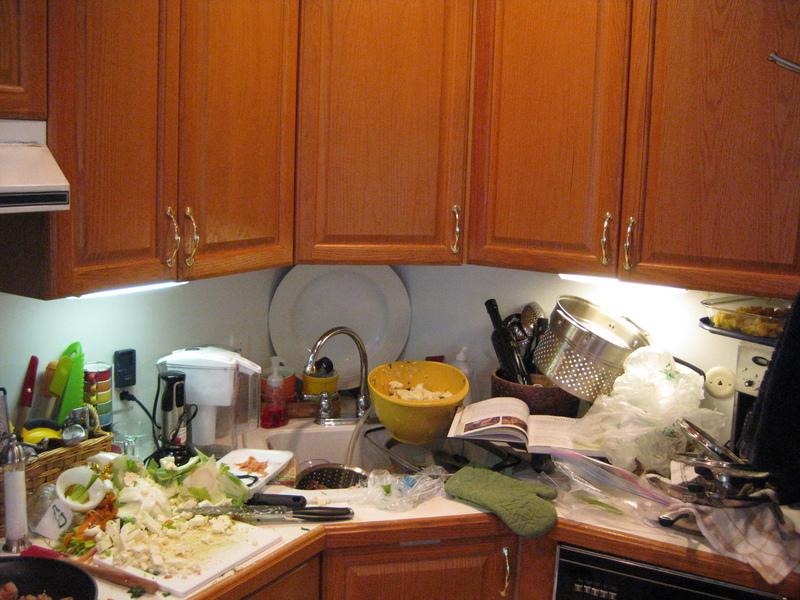 The mission: clearing out the fridge. At all costs. Sometimes at the expense of our taste buds. Get it messy. That's what a kitchen is for. Today went fairly smoothly, I'm proud to say. 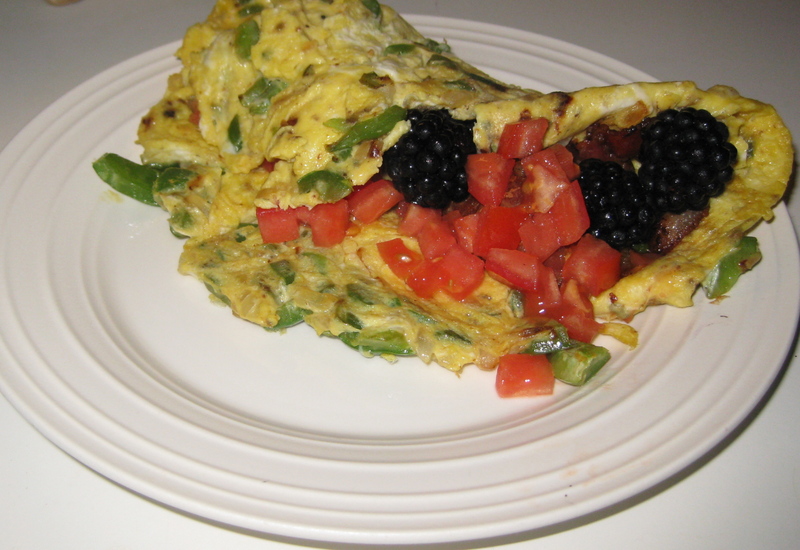 Breakfast: An omelet consisting of 3 eggs, green pepper, onion, tomato, and blackberries. Yup. 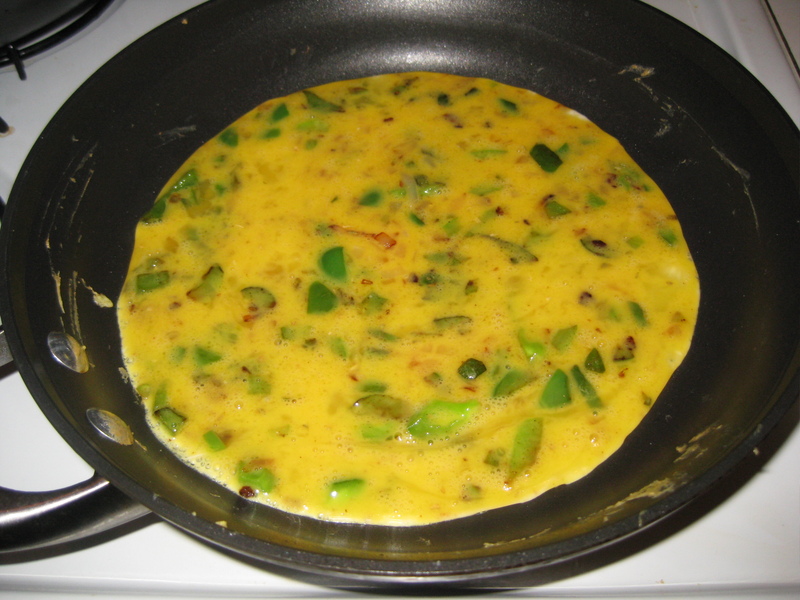 I like to add a little sauteed onion and green pepper to the egg mixture before it's cooked (blasphemy). Don't add too much or the omelet won't stay in one piece. When the edges start to set I'll sometimes lift them up and tilt the pan so that any uncooked egg can slip underneath and get going. If you don't like eggs, just make the same dish...without the eggs. Lunch: Leftover salmon and Sweet Parsnip Mash from last night. Dinner: I started with a few ingredients that needed to get used up – onion, carrots, celery, an italian pepper, a few tomatoes, and some grass-fed beef. Just the thing for a slightly blue-collar bolognese sauce. 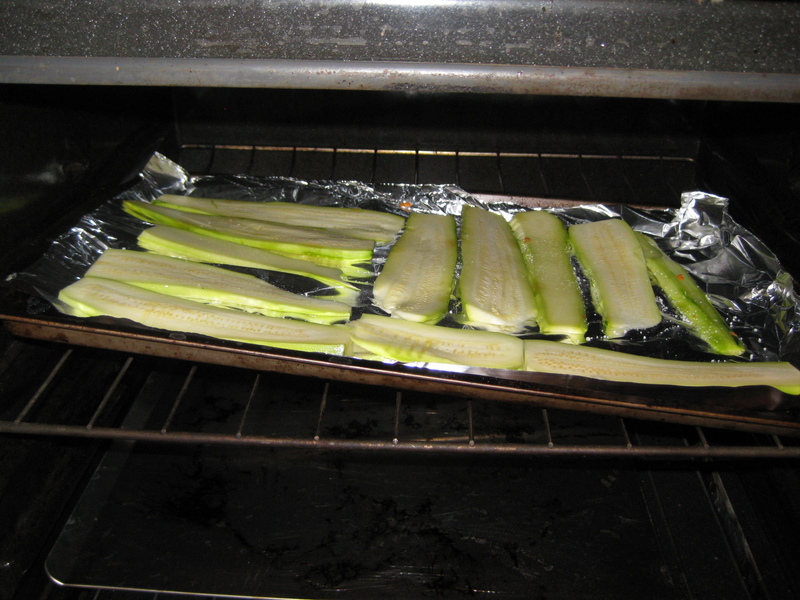 I peeled 3 zucchini and cut them into long, thin strips and placed them on a lightly greased sheet of foil, then put into the oven and cooked at 400 degrees for about 10-15 minutes. These slightly wilted strips are awesome as layers in a Paleo casserole. Add a pinch of salt for extra flavor. 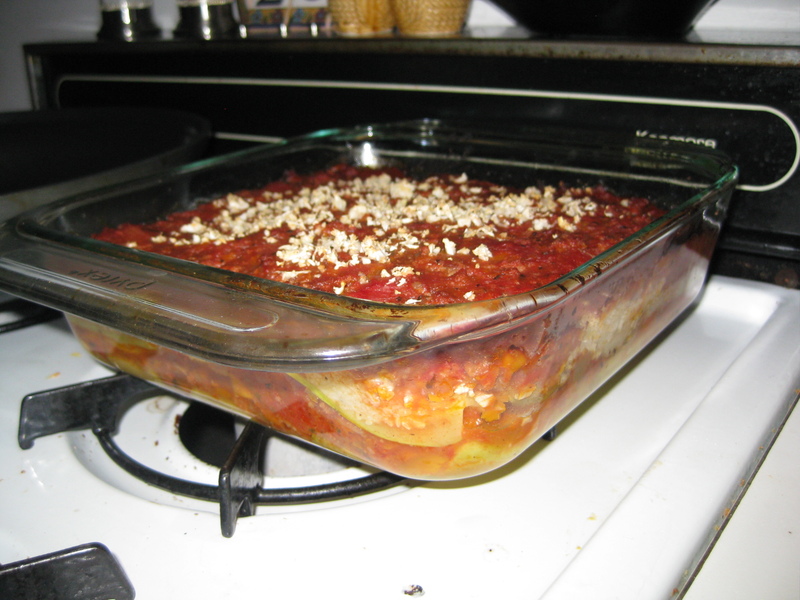 Once these were done, I layered zucchini, the meat sauce, some leftover riced cauliflower, then another layer of zucchini and meat sauce. I popped the casserole in the oven at 350 degrees for about 30 minutes, then started praying. It turned out well! Dinner success. Who was I kidding? Anything served out of a casserole dish is delicious. Today's Workout – A five-mile jaunt with the dog. As I've been handling heavier volume at Crossfit lately, I'm being overly cautious with alternate-exercise days so I can keep plugging along, slow and steady, with my CrossFit goals. Trying to remember to enjoy all forms of activity. Sleep – In bed by sundown and up with the sun. Love it!